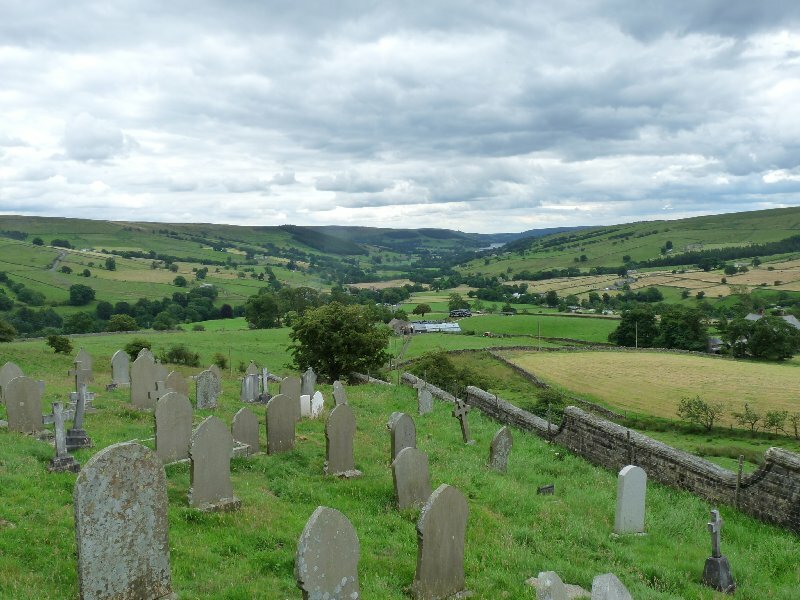 Pateley Bridge, population just over 2,000, is slap in the middle of Nidderdale, an AONB (Area of Outstanding Natural Beauty) appreciated for its landscapes, its rich flora and fauna, and its now hard-to-spot industrial past. But if you were there this last weekend, it might not have been to use the town as a base to explore the Yorkshire Dales. You might instead have been coming to Niddfest, a new family-friendly festival offering a weekend of talks and outside events for nature lovers, and especially book-loving nature lovers, of all ages. That’s why we went, on Saturday, and again on Sunday. We had a pretty busy weekend there, but it turns out we weren’t busy enough. We weren’t there when Poet Laureate Carol Ann Duffy and National Poet of Wales Gillian Clarke introduced the festival, reading from their work. We were absent from the sessions when the likes of Piers Torday, Katharine Norbury and Michelle Harrison were reading from and discussing their books. We didn’t go on the Moor Safari, or on the river walk along the Nidd, or foraging for wild edible plants. We didn’t commandeer our grandsons so they could explore for bugs at Studfold Adventure Trail, or go den-building in the woods. 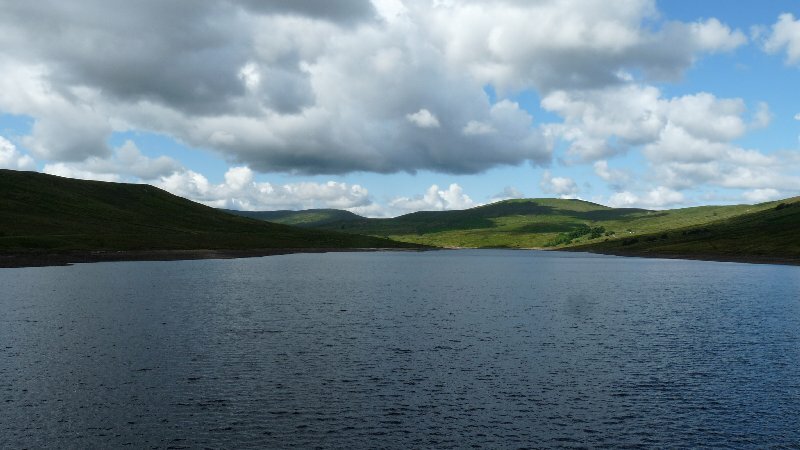 Scar House Reservoir, scene of our bird-watching walk. What we did do was go on what was billed as a bird-watching walk with Mark Cocker and the Nidderdale Bird watchers’ group. And what a way to start. A young cuckoo landed on a fence post, and was immediately followed by his unwitting foster-mother, a meadow pipit, who spent frantic moments stuffing food down his always-open throat. Bear in mind that a meadow pipit is some 15 cm. long, and weighs in at 15 g . The cuckoo wasn’t far from its adult size of 33cm, and 110 g.
With a start like that, the rest of the morning might have been a let-down. But it wasn’t. We saw an old shed where a colony of swallows had begun their days, and learnt that they, like most swallows, would end up wintering in a reed bed somewhere near Durban, South Africa…. some twelve and a half thousand kilometres away. We saw house martins, goldfinch, and quantities of ‘red’ birds – red kites, redpolls, redstarts. We learnt to distinguish thistle varieties, and learnt which ones bees favour. We began to understand just how many varieties of bees, beetles, flies and other insects populated this limited corner of Nidderdale. All this thanks to the bird watchers and especially to Mark. Then we hurried up to Middlesmoor – to hear Mark again, in conversation about his books. Do look at his website – here – to learn more. His nature writing is something special. He celebrates wildlife in its day-to-day environment, but believes the natural world is far more than an interesting and quite engaging backdrop to our lives. It’s fundamentally important, and environmental issues need to assume an equal, if not a greater importance in political decision-making than, for instance economic affairs. Instead, they are sidelined if not totally disregarded. This politics-with-a-small-p approach continued the next day, when we heard Oxford graduate and Cumbrian shepherd James Rebanks speak about his bestseller ‘The Shepherd’s Life’. He has many strings to his bow (adviser to UNESCO for instance) – farming in the Lake District simply doesn’t pay. He points out that our desire for cheap food, our disconnection from where our day-to-day nourishment comes from is putting traditional farming, where animals are treated well and with respect at risk. And then it was Rob Cowen. How could we not be fascinated by his book ‘Common Ground’? He has become forensically interested – almost obsessed – by a small patch of green space just at the edge of Harrogate. This small area was our own ‘green lung’, only yards away from our front door when we too lived in Harrogate. He weaves the story of his growing infatuation together with more personal notes about the baby he and his wife were expecting. It’s clear his well-being depends upon his developing close relationship with this edge-land, this little piece of woodland, river and grass still clinging on to the top corner of a busily expanding town. Nature writing with a difference. What a rich feast we had. In some ways we’re sorry we didn’t cram in more of what was on offer. But as you see, we had more than enough to digest. A brilliant festival. It had better come back next year. It all sounds wonderful! Mark Cocker is a huge hero of mine – I love not only his writing but his outlook on life. I too really hope there’s another Festival next year and I’ll plan my holiday dates a little more carefully! Well … a “brilliant festival” and a brilliant post! So much information to absorb. I’m going to have to return and settle in to enjoy it all. I loved reading about the pipit and cuckoo. What good timing on your part. It was lucky, wasn’t it? Yes, a wonderful achievement: lots to build on next year. What an intelligent-sounding festival! So many times, people just seem to gather for roller coasters, sports, and fried food (or is that just in the US?) I think it’s amazing that all of this thought and philosophy and consideration was brought outside to an AONB, where you could ponder and enjoy. Oh, there are some great festivals in the UK. You could have a bit of a full-time job getting round them all. 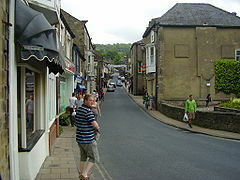 And all credit to the small community of Pateley Bridge for having the vision and know-how to pull it all together. Thank you for all these kind words. Yes, NiddFest will return next year, August 5-7 2016, and we are already talking to some remarkable authors. We hope to see you all there. Please send your email to info@niddfest.com if you want to keep up with our latest news and receive early booking offers. Best from the NiddFest team. I’ll do that, although I hope I may be on your mailing list already via the booking system. It was a great weekend. Thank you. Nothing exhausting about sitting and listening to good speakers. and as for the nature walk: we hardly budged. there was so much to see almost instantly. Next Next post: The genie of the bread basket.